It’s a tale of contrasts. 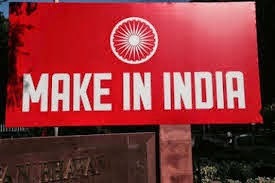 While Aditya Birla Group Chairman Kumar Mangalam Birla said Make in India was a clarion call that could take the Indian economy to great heights on Thursday, the stock price of one of his flagship companies -Hindalco - fell over 4 per cent due to the cancellation of coal block allotments. ICICI Bank MD & CEO, Chanda Kochhar said: “We are very inspired by the PM's vision to 'Make in India'. This will be the next growth driver for India. Read More..